Our range of products include turbochargers, turbocharger bearings, alpha laval heat exchangers, alpha laval titanium plates, alfa laval gaskets and cylinder liner. Turbochargers of ABB and other makes are available in stock. The Turbochargers are reconditioned and are guaranteed for performance. Turbochargers suitable for Wartsila, Mirrlees Blackstone, Caterpillar and all makes of diesel engines are available in stock. We also maintain stock of Turbochargers spares. We have in stock Turbocharger bearings of all the specifications. The recondition Turbochargers bearings with certification are available. All the Turbocharger bearings supplied by us are guaranteed for satisfactory performance. Alpha Laval Heat Exchangers of all models duly reconditioned and pressure tested and are available in stock. 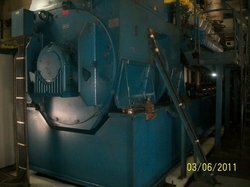 Heat Exchangers are reconditioned and all the rubber items are replaced/ Heat Exchangers are pressure tested before dispatch. 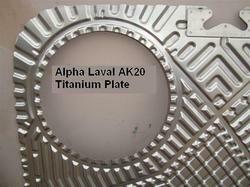 Titanium Plates for Alpha Laval of all makes of Heat Exchangers are available in stock. Titanium Plates in thickness of 0.4, 0.5, 0.6 are available. 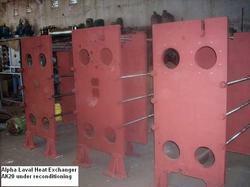 Titanium Plates from all makes of Heat Exchangers are available. Titanium Plates are checked for Pin Holes, Cracks, Bend etc before dispatch. 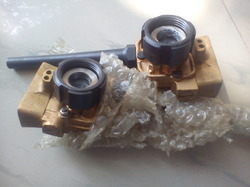 Alpha Laval Gaskets for all model of Heat Exchangers, Fresh Water Generators are manufactured. Gasket, O rIngs and all rubber spare parts are available in stock. Gaskets which can stand temperature of 200 degrees are also manufactured in viton rubber. We manufacture Cylinder Liners up to the bore size of 500 mm and length of 1400 mm for diesel engine of Wartsila, Mirrlees Blackstone, Nohab etc. Cylinder Liners are manufactured by centrifugal casting. Machining of Cylinder Liners is undertaken in house to maintain the quality. 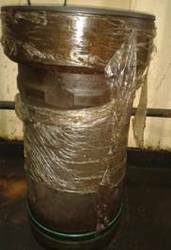 All the Cylinder Liners are subject to calibration and metallurgical report can be furnished. Cylinder Liners are exported to various countries. Wartsila Spare parts are sourced from ship breaking yard and are reconditioned in our factory. Wartsila engines are also sourced from the industry which has installed alternate source of power. Major parts of Wartsila engine are available like engine block, crankshaft, cylinder liner, piston, connecting rods, cylinder heads are available in stock. Wartsila trained engineers undertake the reconditioning of the parts as per Wartsila specifications.